This book provides theoretical clarity about the concepts of failed and fragile states, which have emerged strongly since the 9/11 attacks. Recent contributions often see the fragile state as either a problem of development or of security. This volume argues that that neither perspective on its own is a sufficient basis for good policy. 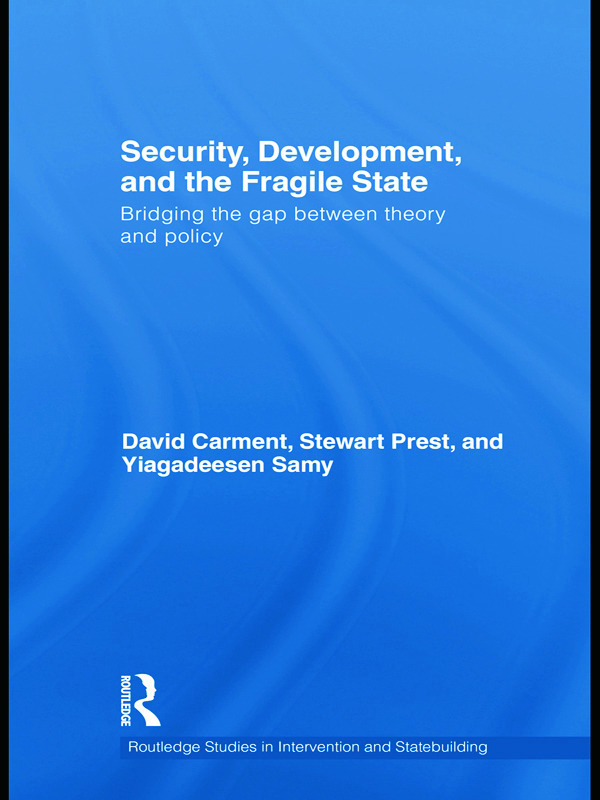 In a wide-ranging treatment, drawing on large samples as well as case studies, the authors create an alternative model of the fragile state emphasizing the multidimensional, multifaceted nature of the "fragile state problematique". On the basis of their model and empirical evidence, they then derive a number of policy-relevant insights regarding the need for contextualized and ongoing country analysis, the perils and pitfalls of unstructured development assistance, and the need to move whole-of-government approaches from the realm of rhetoric to reality. In offering both a synthesis of existing research and an innovative approach to understanding the fragile state, this volume will be of great interest to students of war and conflict studies, risk, conflict management, and international relations in general. It will also be of use to practitioners in policy circles and to NGOs.